From log home restoration to log home repair to log home improvement, our log home care services span across a wide range of issues, making us the only full-service log home company in the Midwest. 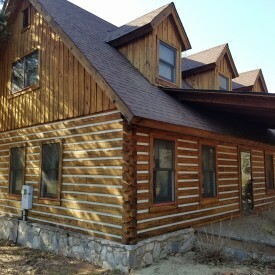 We restore log homes, repair log homes, seal log homes, improve log homes, and maintain log homes in the Cadiz KY area. When you ask 888-LOG-GUYS for log home care, you can bet the job will be finished beyond your satisfaction with expertise and professionalism. Our office team is ready to assist you, so give us a call or inquire about our services from our website today! 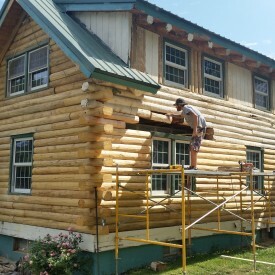 Our experienced crew has the skills to properly restore your log home! We generally use media blasting to strip the old stain before sanding it to a smooth finish. Next, we use a borate treatment to clean the logs, and then we will seal the log home with chinking or caulking. Finally, we will amaze you as we apply the best stain on each log to make your home even better than new! Just browse through our testimonials and referrals on our website to find out how we are the #1 log home restoration company in the Midwest! Do you have log rot developing or water damage on your log home? Do you have problems with termites, carpenter bees, or other insects eating holes in your logs? Do you need assistance in fixing the structure of your log home? Has your log home been damaged by severe weather? 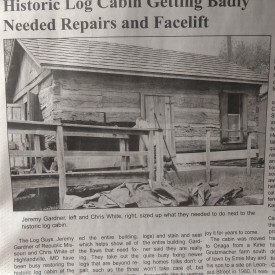 If you have any of these issues, then call 888-LOG-GUYS to fix your log home and make it like new again. Our company has been in the log home repair business for over 15 years, and we know what it takes to rejuvenate a log home and restore its excellent condition! If you have insects or bugs invading your log home, if you have water leaking through your walls, if you have air drafts coming through your windows, then ask our company to seal your log home. 888-LOG-GUYS will properly fill in those gaps in between your logs to keep out those pesky insects, bugs, water leaks, and air drafts, and keep inside a comfortable and cozy place to live. 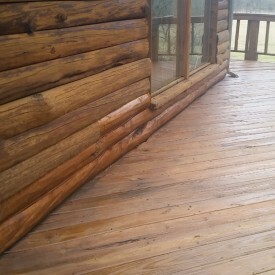 You can ask for a chinking, caulking, or energy seal estimate from our website, or call us directly to speak to someone about sealing your log home in the Cadiz Kentucky area! 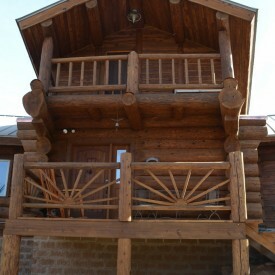 We know you love your log home, and we know there is something you want built to add to its beauty and value. At 888-LOG-GUYS, our crew has the experience and carpentry skills to build a structure that will fit the needs of your log home. We have experience in deck construction, patio construction, or porch construction. We also are skilled in building log staircases or constructing log railings. If you have other ideas to improve your log home, then tell us, and we can help you create your log home dreams! If your home is due to be cleaned, then look no further than 888-LOG-GUYS for the upkeep of your log home. 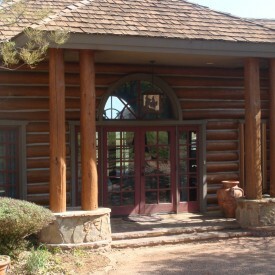 We are the log home maintenance experts that will always be there when you need us. 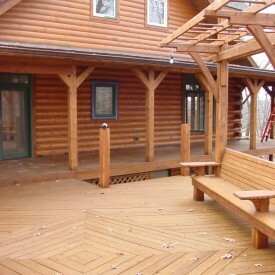 Let us do the work and keep track of when your log home needs to be cleaned with a top coat to keep it looking amazing. If you ask us to maintain your log home, you will never need your log home to be restored again, because it will always be in excellent condition! We are available to help you in the Cadiz KY area! Call us today or ask for a quote from our website!